The gold standard worked well for centuries and produced results that nobody can achieve today. 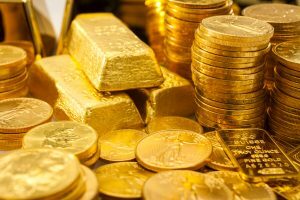 Gold was not only the basis of the global monetary system for centuries until the breakup of Bretton Woods in 1971, it has been the basis of the global monetary system. Most prosperous decades of the last century occurred during the gold standard. In the 1960s, the US middle class reached a level of prosperity that hasn’t been seen since. After 1971, the dollar fell from $35/oz. of gold to over $350/oz., and the world economy was mired in a stagflationary slump that many feared would lead to hyperinflation, revolution and war. In 1979, Paul Volcker became Federal Reserve chairman. Instead of reinstating the gold standard, Volcker followed the academic fashion of the time, and began a monetarist experiment that had never been tried before. The US economy tumbled into the worst recession sincethe Great Depression. In mid-1982, Volcker gave up the monetarist experiment. Fed Chairman Alan Greenspan stabilized the dollar against gold during the 1990s. The dollar then had a long decline, but the price of oil soared from $20 a barrel to $140. The dollar then had a long decline under Ben Bernanke. People panicked in 1979, and threw Volcker at the problem. A further decline in the dollar’s value would not be tolerated. From 2011 to 2012, the task of stabilizing the dollar against gold continued. Financial market manipulation began at an unprecedented level. The Yellen gold standard from 2013 to the present has stabilized the dollar’s value against gold between $1,150 and $1,350/oz. During this time, nobody has complained much about either inflation or deflation. Thus, since 1971, the US seems to have made crude efforts to stabilize the dollar’s value vs. gold, otherwise known as a gold standard system.